This quality made pink crystal pull chain ornament will attach easily to your ceiling light pull or fan pull! It is made for strength, attention to detail and will add a nice touch to any room! The handcrafted crystal ceiling light or fan pull is unique and designed using a light pink 30mm faceted prism crystal and is wire wrapped by hand for quality and strength! 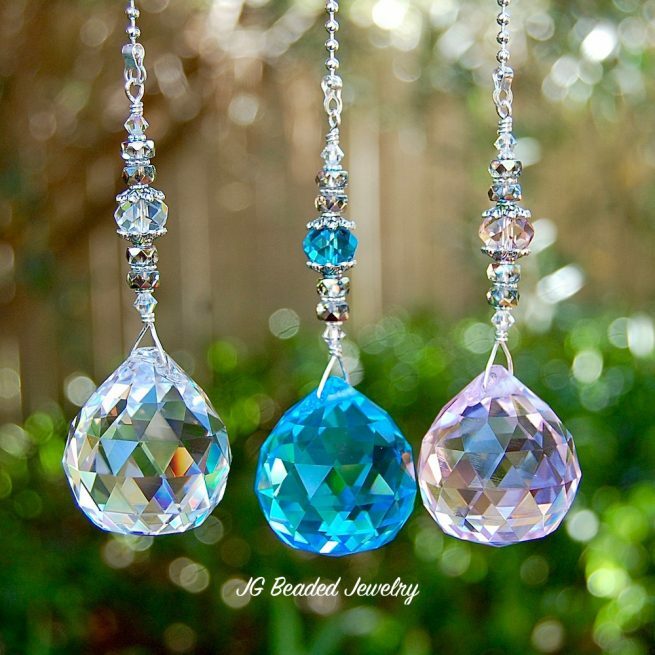 It is embellished with classy vitrail/clear faceted glass beads, flawless iridescent Swarovski crystals, a faceted pink crystal, and fancy silver metal beads. 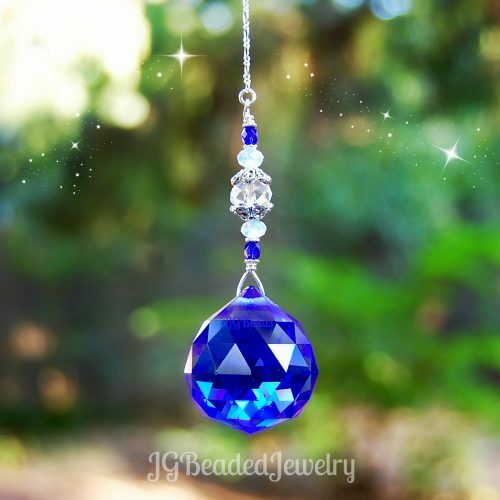 ♥ The beaded crystal decoration is approximately 3.25″ and comes on a 6″ silver ball chain with connector for easy attachment. ♥ Other color prism fan and light pulls are available. 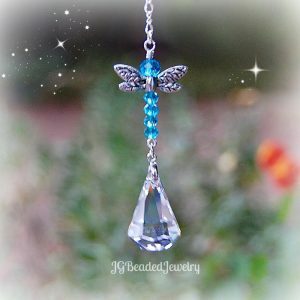 Special requests are welcomed, I am always happy to work on unique designs to fit your wishes – just send a message with your request. ♥ Fast shipping and tracking provided! ♥ If you would like to order more than the quantity available, please feel free to contact me with your request!